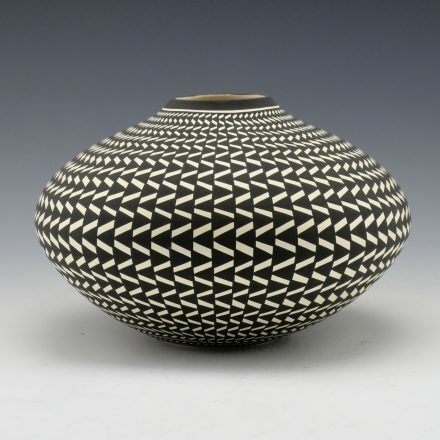 Paula Estevan is known for her jar is thin walled coil built pottery. 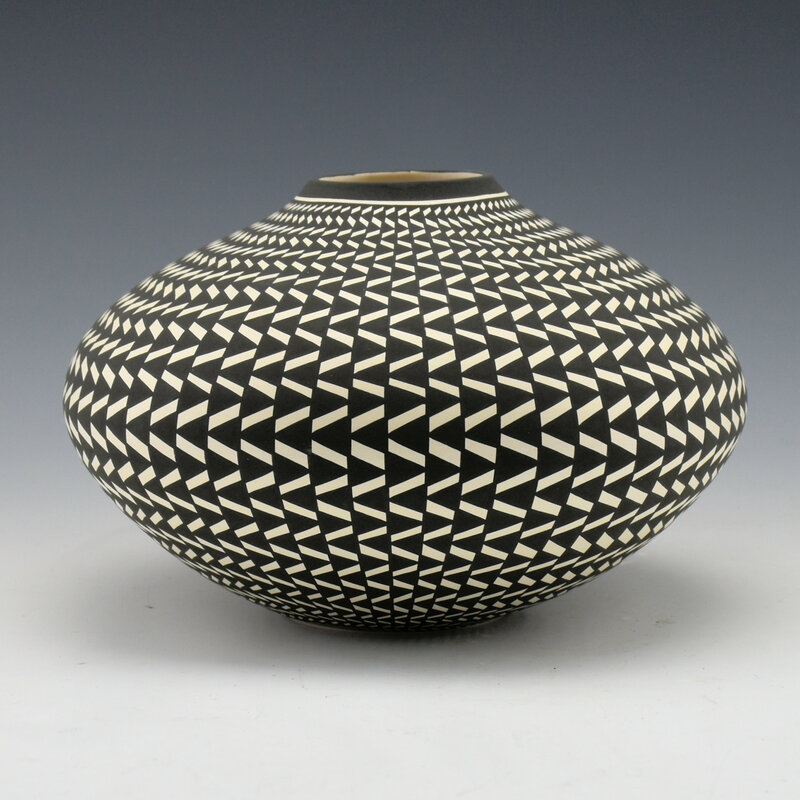 This jar is very tightly painted with an “op-art” basket pattern. 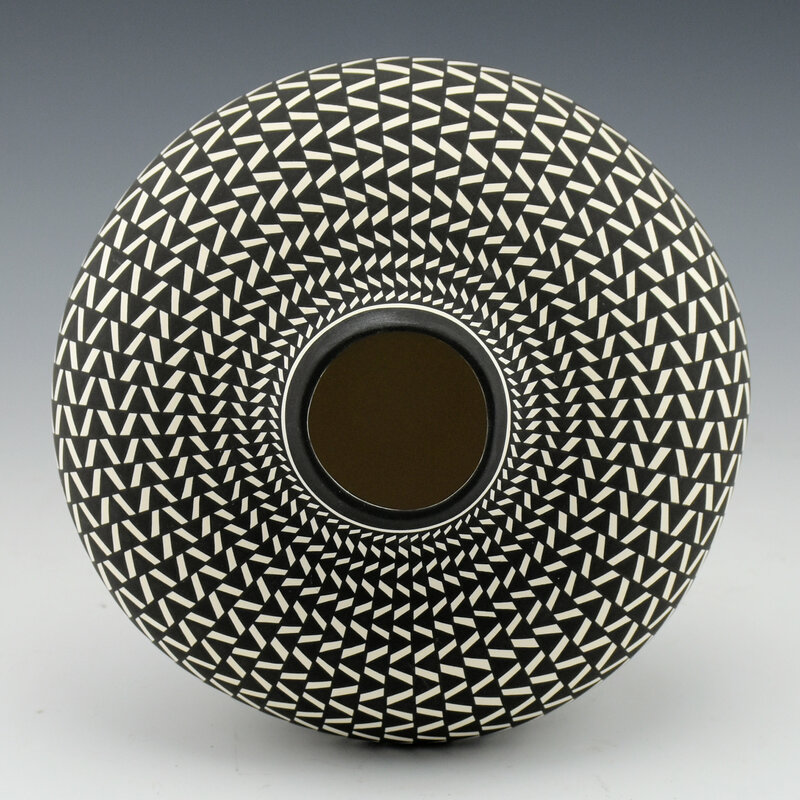 The weave lines are in black and white and spiral around the surface of the jar. The imagery goes from small at the rim to larger at the shoulder and then small again at the base. 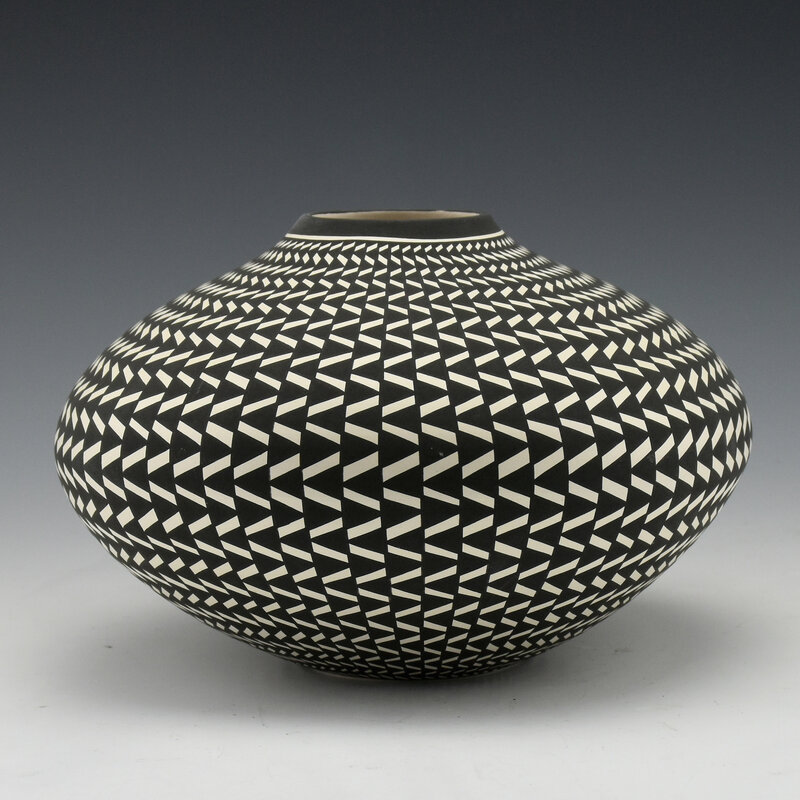 The jar has a wide shoulder and just a slight neck. 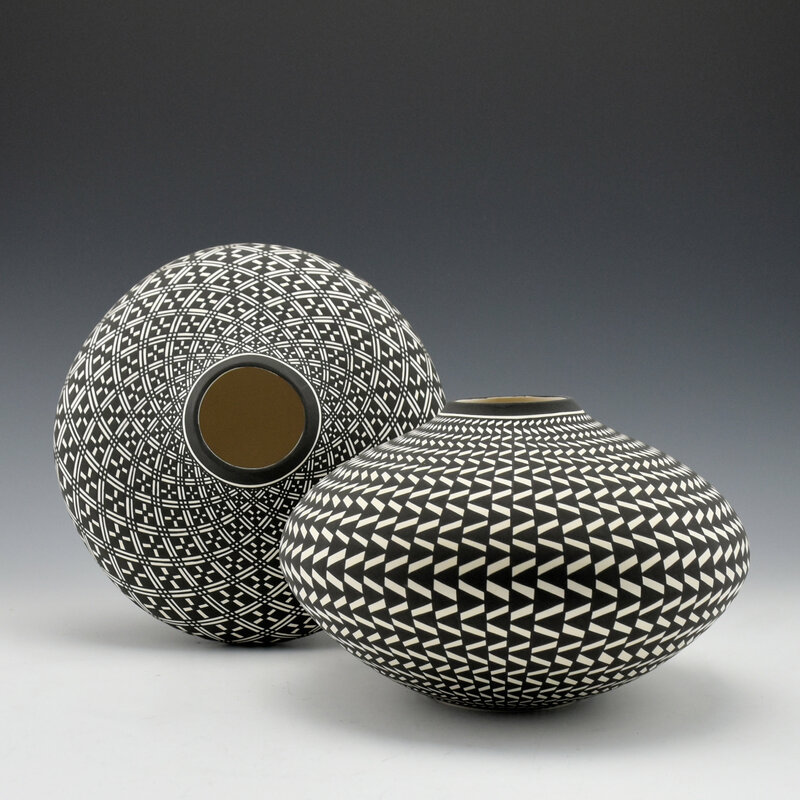 Paula has a wonderful ability to match the shape and designs of her work perfectly! 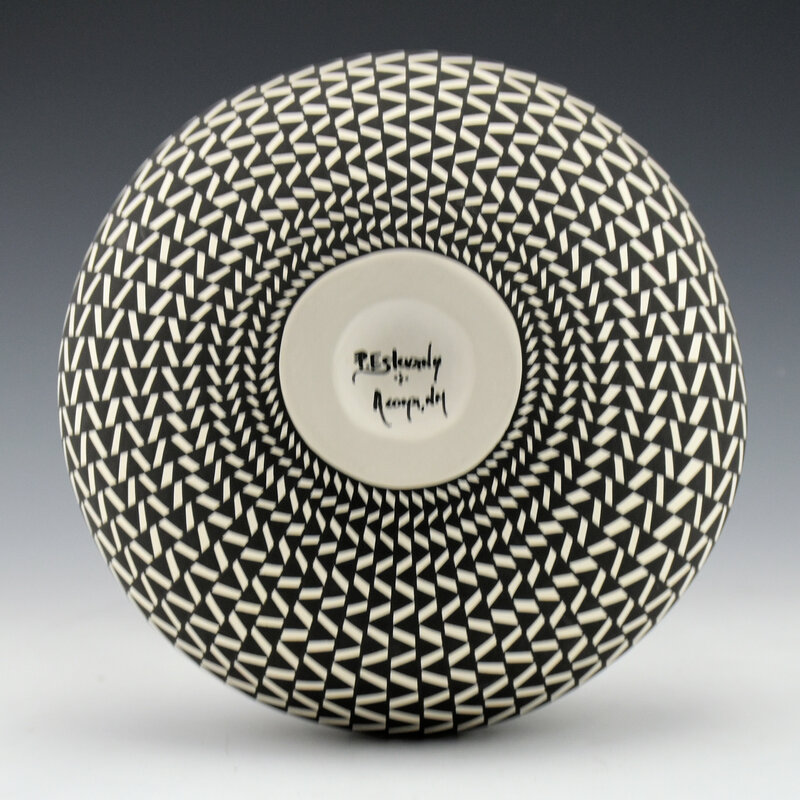 The jar is signed on the bottom, “P. Estevan”.